Today I wanted to talk about a new campaign well new to me it originally started in 2015, Gulp standing for Give Up Loving Pop. 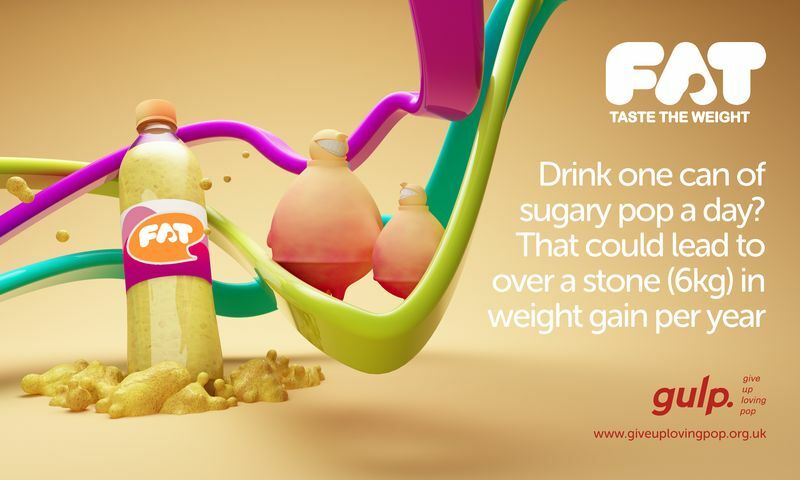 This campaign was created by Food Active with aim to raise awareness of just how harmful sugary drinks can be and hopefully make people think twice about how many fizzy drinks they consume. * Regular consumption of fizzy drinks is strongly associated with with being overweight, diabetes and tooth decay. *If everything else in their diet is equal a person who has a can of coke a day adds an extra 14.5 pounds per year from calories alone. Personally I think them facts alone are enough to make you give up, Im not telling you to cut them out completely but to try and replace some sugary drinks with water is a great start or even diet or sugar free fizzy drinks is a compromise. Often these sugary drinks aren't fizzy so don't let that catch you out, sugar is hidden with it having over 50 different names. The GULP campaign is challenging you to completely give up sugary drinks, think you can do it? Sign up here. Im going to give this a go as its something I've wanted to do or a while and I will let you all know how I get on! Home2Office is also getting involved to see how click here. For more info you can visit Gulp and see how you can get involved! Would you consider giving up sugary drinks? 8 comments on "GULP- Give Up Loving Pop Campaign "
I really need to do this! i'm going to try and drink more water and less fizzy drinks! I drink too many fizzy drinks and I seriously need to cut back! This is such an informative post! Love this ! I've massively reduced my fizzy drinks in terms of coke, pepsi etc. To help my transition to being healthier I have opted for Fanta lately, which is just as bad isn't it *hides face* haha but its orange flavoured so surely better LOL! I seriously need to give up on fizzy drinks, Irn-Bru is the culprit!